In 2015, World Water Day was held on March 22, with the topic theme for the year Water and Sustainable Development. This year, World Water Day will be held again on March 22nd, with the event focusing on the relationship between Water and Jobs. We decided to examine how our Water Security Influencers: Top Individuals and Brands discussed World Water Day in 2015. We hope that this analysis provides you with important insight on who to engage with in the lead up to this event, and to spread awareness on the importance of water security. 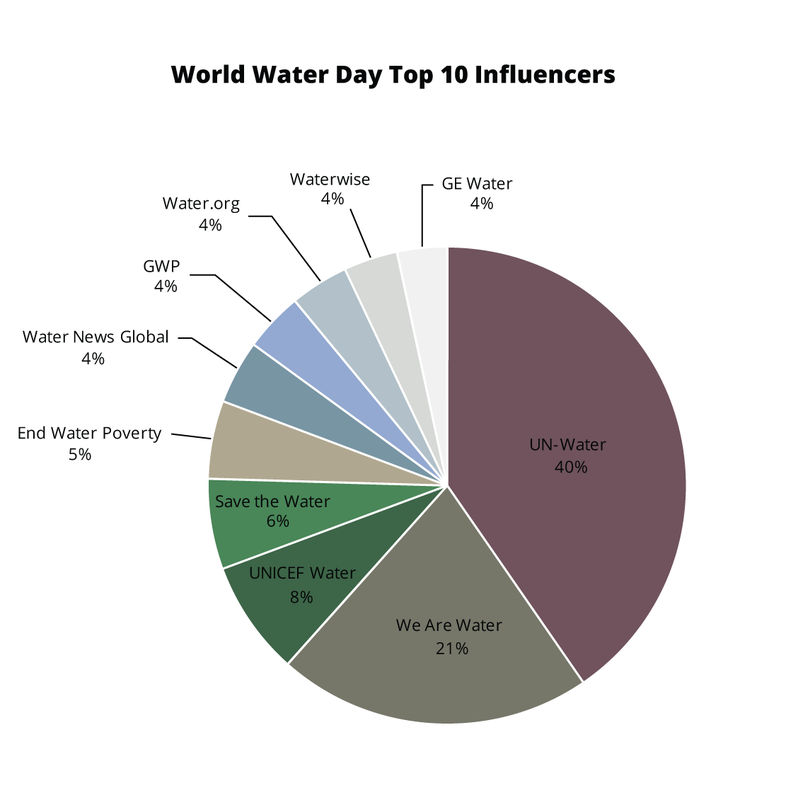 The top Water Security Influencers discussing World Water Day in 2015 were largely non-profit and intergovernmental organisations. Among the top ten influencers discussing World Water Day, UN-Water and We Are Water held the largest share of the conversation, collectively absorbing 61% of the share of voice. 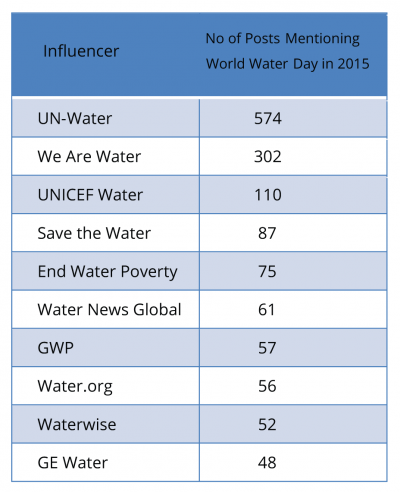 The only influencer to make the list which was not a non-profit organisation or a UN agency was GE Water, which mentioned World Water Day 48 times in 2015. 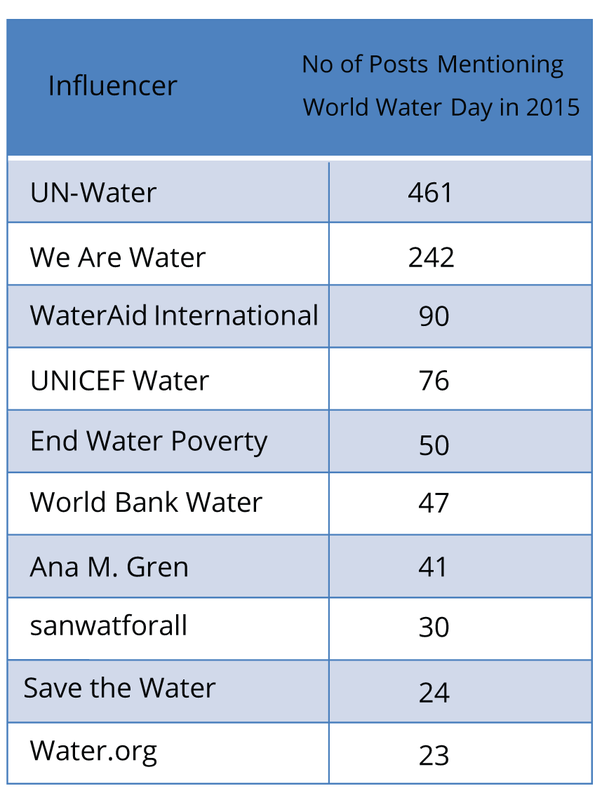 World Water Day was not the only UN action day involving water security in 2015. 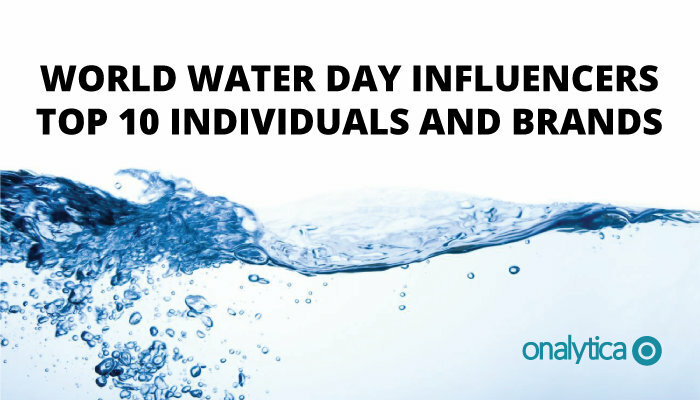 Our Water Security Influencers: Top Individuals and Brands were also highly engaged on the subject of World Toilet Day, an international day of action to bring attention to the 2.4 billion people in the world who lack access to improved sanitation. 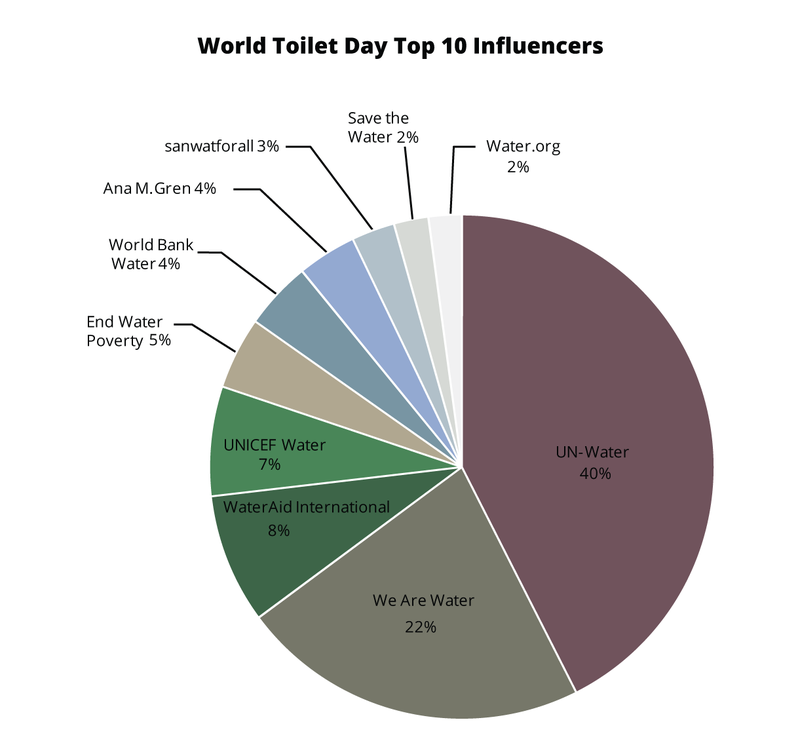 As with World Water Day, the top Water Security Influencers discussing World Toilet Day in 2015 were largely non-profit and intergovernmental organisations. Among the top ten influencers discussing World Toilet Day, UN-Water and We Are Water held the largest share of the conversation, collectively absorbing 62% of the share of voice. Ana M. Gren was the sole individual influencer to make the top ten, with the rest of the Top Ten Water Security Influencers posting about World Toilet Day being non-profit organisations or UN agencies. The next World Toilet Day will take place on November 19, 2016, however World Water Day 2016 is approaching swiftly. On March 22, 2016, we anticipate high activity from our Water Security Influencers and from all those who care about water security worldwide. As thought leaders, journalists, non-profit organisations, intergovernmental organisations, businesses, and consumers alike prepare in anticipation of World Water Day, we hope that information on which Water Security Influencers are most vocal about the event will help you in your advocacy and outreach for this important event.